Improve performance under pressure by squeezing a ball or clenching the non-dominant hand before competition to activate specific motor regions of the brain, according to Jürgen Beckmann and his research team, who studied experienced soccer players, tae kwon do experts and badminton players. The Journal of Experimental Psychology: General reported that right-handed athletes who squeezed a ball in their left hand before competing were less like to “choke under pressure” than right-handed players who squeeze a ball in their right hand. Other applications include business situations like presentations or negotiations, or helping elderly people improve balance by clenching a ball before walking or climbing stairs. Iris Hung the National University of Singapore found additional applications: Avoiding the temptation of sugary snacks in a cafeteria, enduring physical pain, and disturbing information. 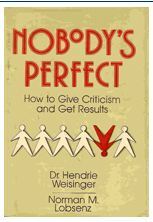 Hendrie Weisinger, whose best-seller Nobody’s Perfect was the first of 8 books, integrates this finding with other research-based recommendations to manage performance pressure with “Nerves of Steel.” His new book is scheduled for release by Random House in 2013. 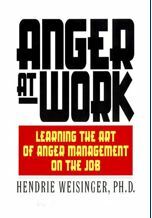 His other books, including Emotional Intelligence at Work and Anger at Work, along with video excerpts are available on his website. -*How do you maintain performance when experiencing pressure? This entry was posted in Behavior Change, Career Development, Neuroscience and tagged Behavior Change, Career Development, Hendrie Weisinger, Iris Hung, Jürgen Beckmann, motor performance, Neuropsychology on November 6, 2012 by kathrynwelds. Magnificent web site. A lot of useful information here. I’m sending it to some buddies ans additionally sharing in delicious. And certainly, thanks to your effort! Thank you for stopping by and for sharing with others to join the conversation.